This is deprecated feature and not available in app after 5.1.4. Feature not working after Android 7+. 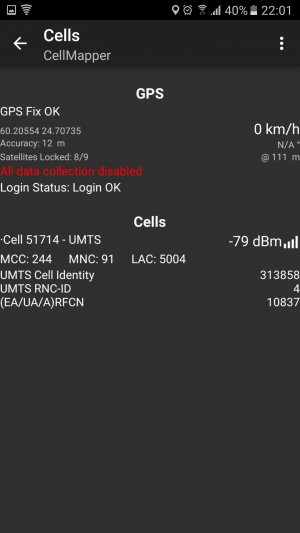 Use native Cell ID API to get band data. 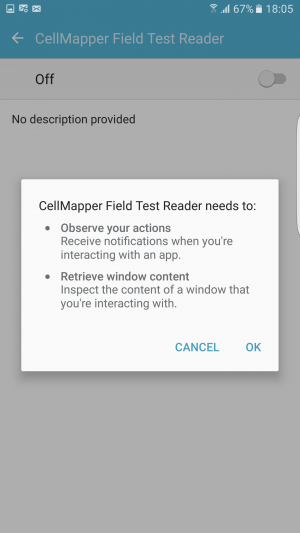 Cellmapper Field Test Reader is new feature on Cellmapper app. 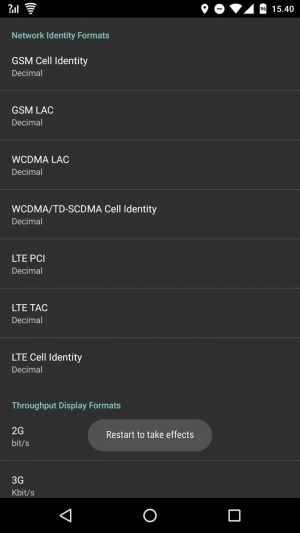 You can with this feature read Band and Bandwith data without root. This feature is available Cellmapper 4.1.5 16.3.2016 to 5.1.4. 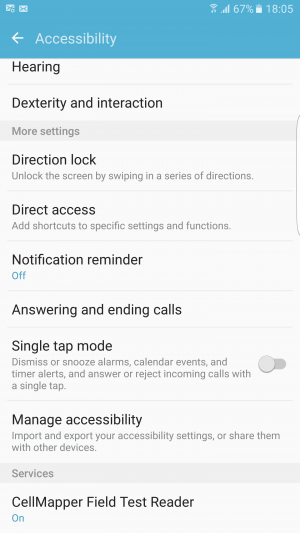 This feature working only with Samsung Phones and Nexus 6. Require API 4.2 on App version 5.0.5 and newer version. If device not support API 4.2, should use old API and logcat (require root). How to enable this feature? 4. 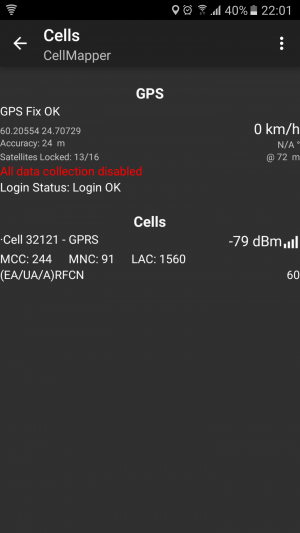 Switch back to Cellmapper App (Don't close Service Mode) and watch if you see Band and Bandwith data. When you record, you must run Service Mode on foreground! If not, band data cannot save. 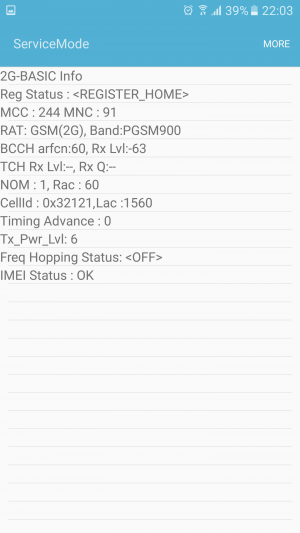 Network Signal Guru (Working 1.1.4 version): You can use Network Signal Guru also. First change on NSG Settings all to Decimal and then restart NSG. Then open Network Signal Guru and CellMapper. 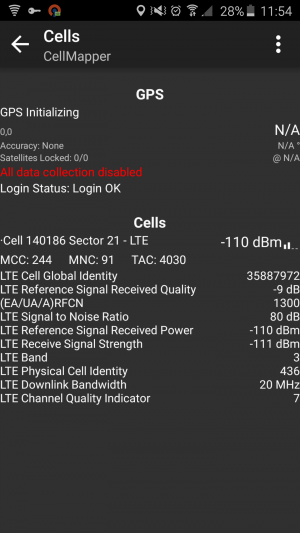 Keep Network Signal Guru Foreground so when you switch back to CellMapper you should see example LTE MIMO, LTE Bandwith, LTE Band data. 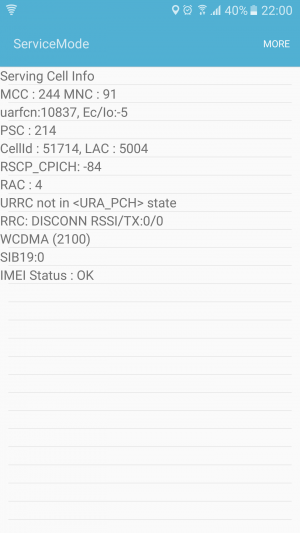 If Band data not showing or data is wrong? Please ask/report everything to Google Plus community or email: support (at) cellmapper.net.